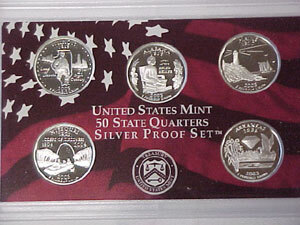 This one piece set has all the (5) Silver Statehood Quarters from 2003. The set does come in the original plastic case with the insert as shown below. 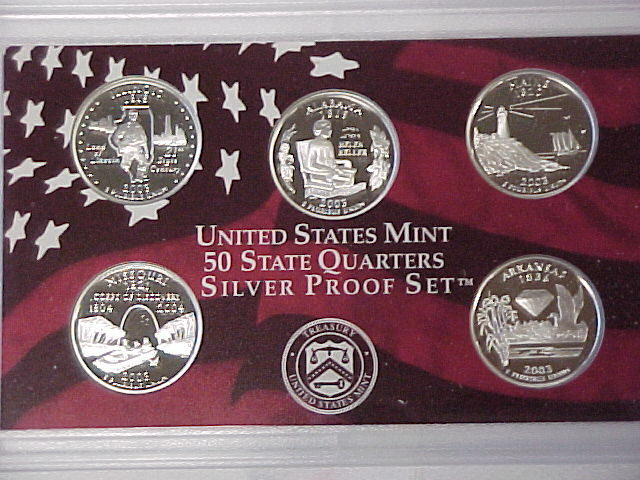 There is No Box, No COA, and does Not come with the other half of the set (Penny - Dollar).